And yet another Nogibingo episode! 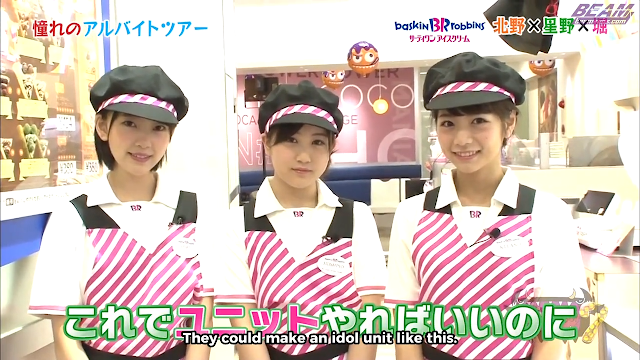 This time it's Nogizaka's Part-time Job Tour! In this episode, members will get to experience what it's like to work a job they've always wanted. They will be evaluated by experienced mentors, who will at the end choose the member they would most love to have as an employee! thanks for the work! keep it up!